Mark Kieswetter, one of America’s finest jazz pianists, is having health issues, which are preventing him from earning a living. Meanwhile, his expenses are mounting. 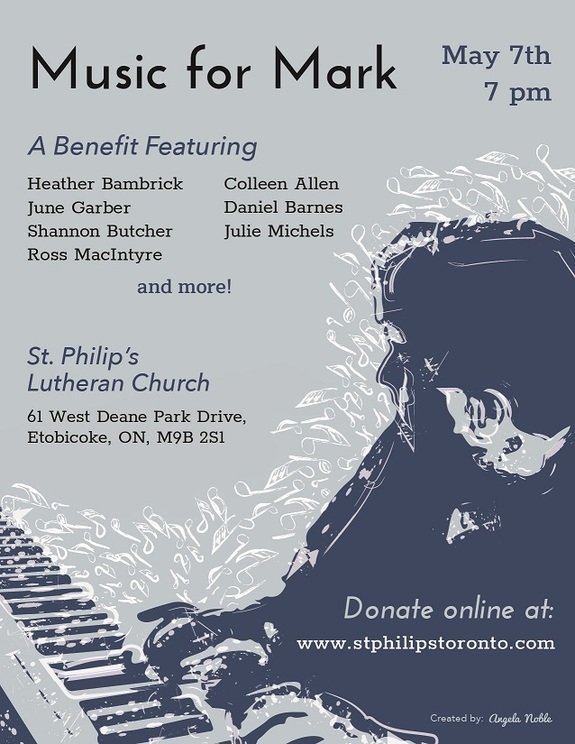 This concert features brilliant artists such as David Clayton Thomas, Heather Bambrick, June Garber, Julie Michels and many others, including Debbie Fleming. Singers will be backed by the finest musicians Toronto has to offer. 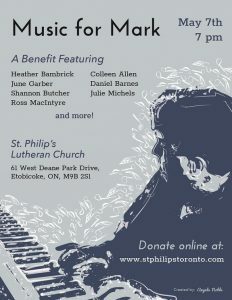 There are no tickets for this event – but donations are requested, to help Mark pay his bills while he’s healing. Doors open at 6.